In 1993, Larry Rubin, after 17 years in various marketing communications capacities for numerous Spectacor-owned companies, including the Spectrum, Philadelphia Flyers, SMG, WIP Radio, PRISM, Showcase Stores and Network International, entered the agency world and headed public relations divisions for two Philadelphia area advertising firms, Crane Marketing Communications, of Blue Bell, and O’ND Advertising and Public Relations, of Bala Cynwyd. While at the Spectrum, he provided public relations programs for hundreds of sports and entertainment events held at the world-famous arena. 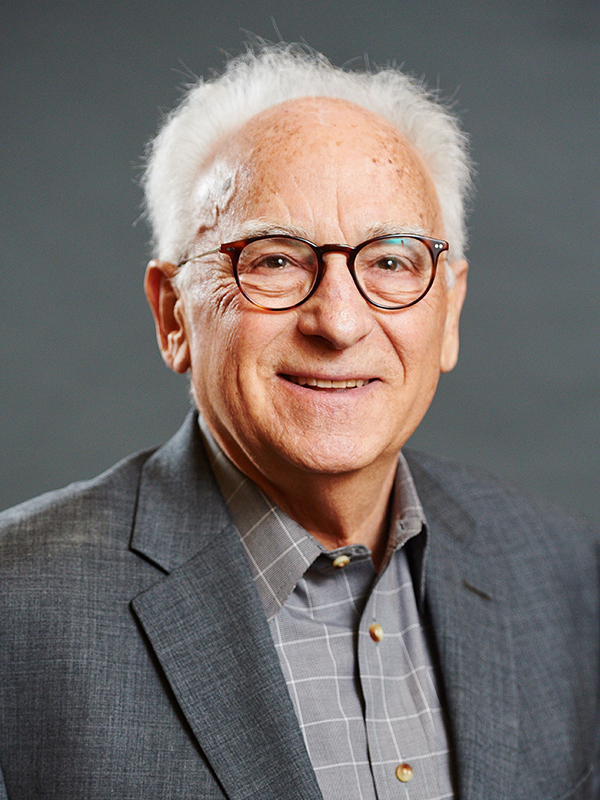 An inductee of the Philadelphia Public Relations Association’s Hall of Fame, Rubin founded his own company, Rubin Public Relations, located in Narberth, PA, in February 1999, to provide his marketing communications expertise to a select number of clients. His commitment to emphasizing client service through responsiveness, accessibility and a clear understanding of the client’s communications objectives are tenets of his company’s operating philosophy. He acts as a virtual staff member for the client. Rubin Public Relations currently provides public relations services for AlliedBarton Security Services, of Conshohocken, PA, the industry’s premier provider of highly trained security personnel to many industries including commercial real estate, higher education, healthcare, residential communities, chemical/petrochemical, government, manufacturing and distribution, financial, and shopping centers and malls; Global Spectrum, the subsidiary of Comcast-Spectacor that manages public assembly facilities throughout North America; Arthur Ashe Youth Tennis and Education in Philadelphia; Stafford Sports of Medford, NJ; and Torre, the largest independent clothing retailer for big and tall men in the country. Rubin served as a media center coordinator and a PR advisor for volunteer recruiting effort for Philadelphia 2000 at the Republican National Convention. He coordinated public relations efforts this year for Harmony Through Hockey, a grass-roots human relations effort for youth in three Philadelphia neighborhoods sponsored by the Anti-Defamation League, Philadelphia Flyers and the Philadelphia Department of Recreation. His past clients have included the Latin Casino, Six Flags Great Adventure, the law firm of Litvin, Blumberg, Matusow and Young, P.A., Biosonics, Tickets.com, Pepsi-Cola Bottlers of the Delaware Valley, Bachman, Penn Maid, Nextel, Crowley Foods, Novacare, Mrs. Paul’s Kitchens, Ringling Bros. and Barnum & Bailey Circus, the Philadelphia Firebirds hockey team, Red Bell Brewing Company, and others. As Vice President of Public Relations at the Spectrum, he handled the public relations efforts of concerts, sports and national events taking place at the 20,000-seat arena in Philadelphia. He served as PR Director for the Philadelphia Flyers. As VP, Corporate Communications for Spectacor Management Group, he directed the public relations activities for some 20 arenas, convention centers, stadiums and theaters in the United States and Europe. His is an expert in the handling of crisis public relations and has created crisis media plans for numerous clients. Prior to joining The Spectrum, Rubin was Vice President of PR Ltd., a Philadelphia-based public relations firm. Earlier, he was Public Information Officer for the Philadelphia Police Department, serving as a spokesperson and coordinating media relations and events for then Police Commissioner Frank L. Rizzo. He worked on planning and media awareness for police-community relations initiatives, including Operation Handshake and Operation Thanksgiving. He was assigned to the Police Department after serving as a Public Information Officer for the Office of the Philadelphia City Representative. In that capacity, he was a speechwriter and public relations coordinator for the Mayor’s Office, the Philadelphia Flag Day Association, and participated in many major ceremonies and events involving heads of state, national and local officials. He was a reporter for the Philadelphia Evening and Sunday Bulletin newspaper before it went out of business. A graduate of Temple University, Rubin is a former President of the Philadelphia Public Relations Association and a current member of its Board of Directors, he’s on the Board of the Philadelphia Police Foundation, New Horizons Senior Center, Narberth, PA, and a member of the International Association of Assembly Managers. He served almost 10 years as an elected Councilman in the Borough of Narberth, PA.